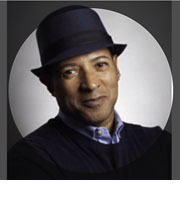 Tony Nash is a stylist and image consultant with over 25 years experience in hairstyling, color, and hair design. Originally from New York City, Tony has worked in fashion shows in Paris and Milan, as well as Los Angeles. After returning to New York to do editorial styling for various fashion magazines he returned to California and for 12 years now he has settled in San Francisco. Formerly the Style Director for Premier Atelier Salon and Spa in San Francisco, and Artistic Director for Carmichael Salon, he is now working at Albanese Hair Salon 323 Geary street suite 306 in Union Square. Tony Nash is also the preferred stylist for The Ritz-Carlton and The Fairmont Hotels in San Francisco, catering to the needs of celebrities, and dignitaries.